I always feel a little reflective as the Autumn daylight hours become less as I like ending my day with an evening walk with Purdy my Cavalier/Jack. For the following months, I have brought my walk to an earlier time instead of the late evening. The fresh air and green vista always gives me a boost. I am very lucky because I live very close to some protected woods and parkland – in fact, I have the perfect location for someone with a dog. Yesterday as no one wanted breakfast I took Purdy for an early walk – the squirrels where still on the ground gathering acorns, the leaves crunched beneath my feet and there was still a gentle nip in the air. Joggers were still doing their laps around the running track and workers were running for the bus they could see coming over the brow of the hill. I occasionally see other dog owners I know and we have a quick catch up. Other times we walk together around the park with our respective dogs catching up with each others news. I always enjoy these moments, I feel having a dog has meant I end up speaking to many people I would not have done had I been just walking in the park on my own. I think having a hound is an icebreaker as there is always something to talk about or strike a conversation over. Last Friday was a planned day off and as it was such a wonderful sunny day I decided last minute not to visit the Design Museum, instead I took my hound to the beach instead. We had an amazing afternoon visiting Rye and Camber Sands. 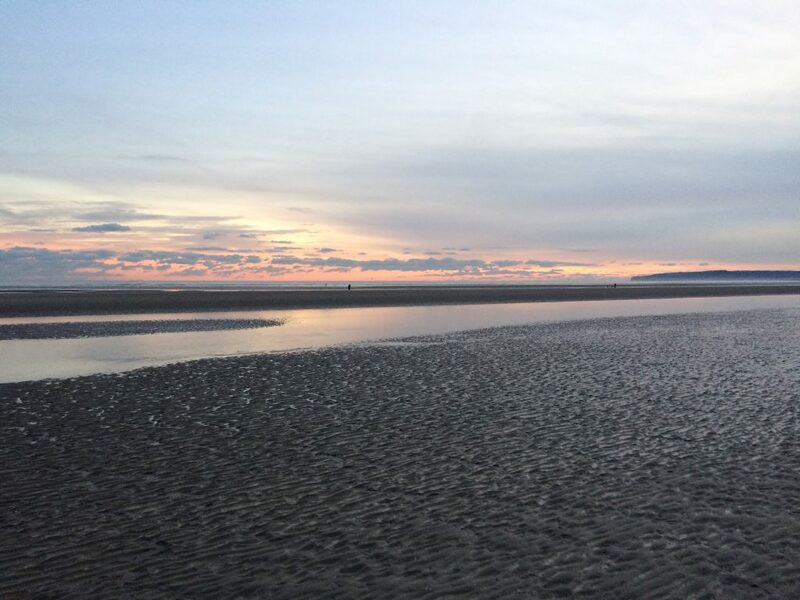 The tide was out, the sunset from the beach was just stunning and I picked up some pretty shells and brought back a large shell which I was told I could use for removing limescale! (Watch this space). I felt so energised and relaxed from a few hours on a beach with beautiful 180-degree vistas. It was worth the agonising journey home where the SATNAV took me on a tour of East Sussex through narrow roads and small villages I had never heard of as the motorway was closed between several junctions and a journey that usually takes 2.5 hours took 4 hours. As a replacement for my evening walks with Purdy, and instead of getting into a bad winter habit of watching the TV, I have set aside at least one or two nights where I am baking an array of different cakes, biscuits and also starting making pots of chutneys as gifts. So far, I have made Chilli Jam, Apple Chutney, Apple juice, and Apple leather not forgetting all the Blackberries we picked that were growing wild on Tooting Common we made some conserve and also ice cream. I baked a few trays of shortbread which went down a treat and stayed fresh in the tin for 10 days. 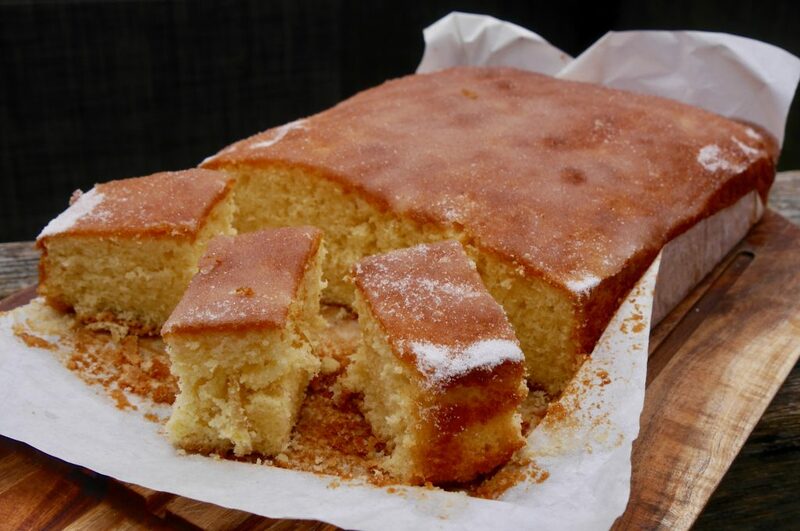 I also made one of my favourite Lemoncello Drizzle cakes, I think Zuzana, Paul, and Chris helped themselves to slices of the cake that day as it seemed to disappear in under 24 hours after I had only served a couple of portions to guests! The last time I left an entire cake on the table for two guests, they ate three quarters and that’s when everyone told me off… and told me to serve slices instead. In a heavy-based pan, approximately 23cm diameter, melt the butter and honey, once melted add the vanilla essence. Place the figs cut side down in the mixture, fitting them snugly. On a lightly floured board roll out the pastry to fit over the figs, a little overhang is fine, just tuck it in. Place the tart into the oven for 30 minutes or until the pastry has risen and is crisp. Remove from the oven, let it rest for 10 minutes and then tip it carefully onto a flat serving dish and serve with crème Fraiche.